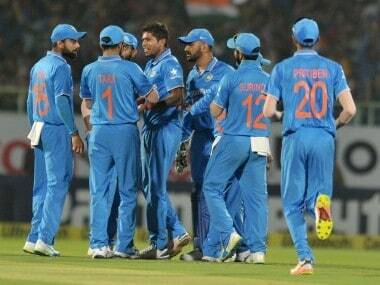 India won the fifth and final ODI in the series against New Zealand by a massive 190 runs. 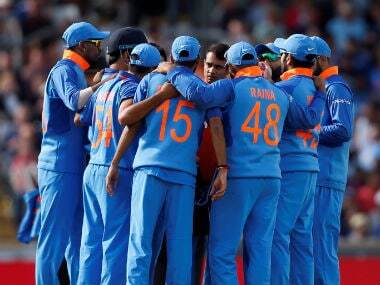 They bowled New Zealand out for 79 — their fifth lowest total ever — as Amit Mishra claimed 5 for 18. The Black Caps collapsed like a drunken movie star getting out of a limousine in front of the waiting paparazzi. Still, this wasn’t a perfect win, and with the Champions Trophy in 2017 and the World Cup in 2019, they have some issues they need to address. This is nit-picking and hyper-critical, but India have the talent, the resources and the know-how to win those tournaments in England as they did during the 2013 Champions Trophy. If that is to happen, they need to be on top of every aspect of their game. There is a danger that in ODIs India are going to become too reliant on Virat Kohli. There will always be an inordinate amount of expectation heaped on Kohli, he is pound for pound the best white-ball player in the world. He might be the best white ball player ever. But this match and this series were a stark reminder that he cannot be expected to do it all on his own. The two matches that India have lost have been when he has failed to reach fifty. 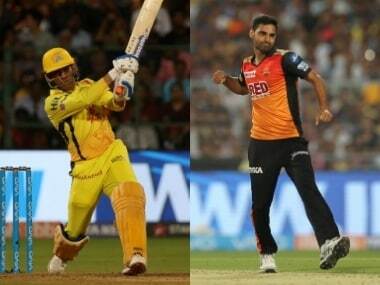 In this match he had some support from Rohit Sharma and MS Dhoni, but the expectation is always that it will be Kohli that makes all the running &mdash: that it will be India’s number three who will be batting at the end of the innings. Even someone as ridiculously talented as Kohli can’t succeed every time he bats. Rohit had been poor in this series before Saturday's match. Four scores between 11 and 14, all of them at less than a run a ball, are slim pickings for someone with such a fantastic ODI record. 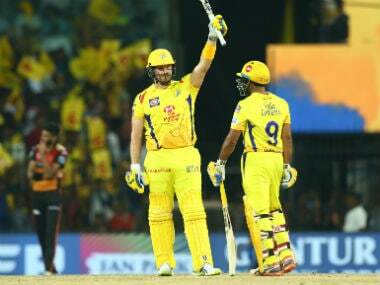 He was struggling at first once again in Vizag, unable to get off to a quick start against the seam and swing of Trent Boult and Tim Southee, and the clever variations in pace from Jimmy Neesham. Rohit battled his way through that early period and began to look more fluent. His contribution of 70 runs was the best of India’s innings and it looked to be foundation for a really big total. However, Rohit soon stumbled going for a quick run and pulled a muscle in his thigh. It did not take long for him to lose mobility and even a lengthy delay, where he received treatment, did not abate his symptoms. The playing condition in international cricket that prevents the use of a runner for batsmen who are injured is one of the more ridiculous ones. With Rohit looking for boundaries as a way to score runs and rest his injured leg, he began taking more risks. He was dropped going for a whipped shot to the mid-wicket boundary when he was on 66 and in the next over he was dismissed for 70 when he didn’t get all of a pull shot to a short ball from Boult. 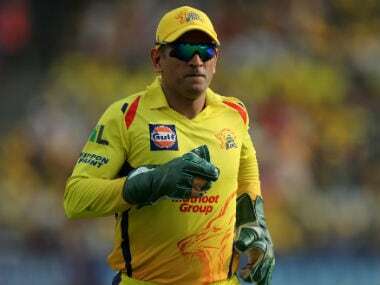 He was replaced by Dhoni, who was batting at four for the third time in this series. He once again played his way, looking to get set and then hoping to accelerate later in the innings. He had 38 overs available to him in this match, so it was understandable that he wanted to take his time. But this is a massive risk to take. If he takes up deliveries to get himself set and then isn’t around long enough to do the speeding up bit of his plan, there is a lot of pressure heaped on those that come in after him. Dhoni will always back himself to catch up, but when he doesn’t it means the back of the Indian innings can lack impetus. That added pressure was evident in the way Manish Pandey batted when he came to the crease. He still had more than 11 overs to bat but played a ridiculous shot when he replaced Dhoni. While it wasn’t Dhoni’s fault that Pandey slog swept and was caught on the boundary when he was yet to get off the mark, but the captain’s innings meant that Pandey knew he needed to come out swinging. Now the criticism is out of the way, let’s talk about the brilliant bowling effort from the Indian spinners. From the moment Dhoni introduced the slow bowlers into the attack, New Zealand started to struggle. Kane Williamson eventually went for a big shot over long-off as he grew frustrated at the required rate going up rapidly. He was caught on the boundary with New Zealand’s total on 63. Williamson wickets sparked what was a remarkable collapse that saw New Zealand go from 63 for two to 79 all out. They lost eight wickets for 16 runs in 51 balls. Mishra was the destroyer-in-chief as he claimed his second five wicket haul in ODIs. The way he deceived the New Zealanders was almost unfair. He set up BJ Watling with a perfectly flighted leg break before bowling him with a googly for a second ball duck — the perfect one-two. Throughout this tour, the New Zealanders have struggled with the turning ball, the final ODI was no different. There were a great many more positives for New Zealand from the one-day games than during the Tests, but they will still be travelling home with two series defeats. For India, this was another ODI series win as they build towards the big one-day tournaments over the next two and a half years. They are in pretty good shape in their preparations. That doesn’t mean there isn’t room for improvement.